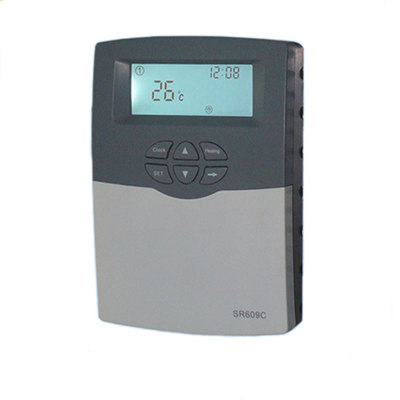 110 volt solar controller is a thermostat that displays the temperature inside the Sunbank tank and powers the 110 volt, 1500 watt auxiliary heating element (if installed). Comes with 150 ft sensor wire so that you can mount the controller inside your house and monitor the temperature inside your solar water heater. Requires a dedicated 15 amp circuit if also powering the 1500 watt element.